Former Secretary of State in the present George Bush administration, Colin Powell, announced Sunday that he will be voting for Sen. Barack Obama, distancing himself from some recent John McCain and republican party campaign strategies. Powell said he questioned Sen. John McCain’s judgment in picking Gov. Sarah Palin as his running mate because he doesn’t think she is ready to be president. He also said he was disappointed with some of McCain’s campaign tactics, such as bringing up Obama’s ties to former 1960s radical Bill Ayers. 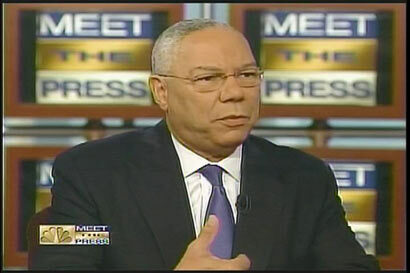 Powell who was secretary of state under from 2001 to 2005, was tasked with persuading the rest of the world through the United Nations about the necessity of the invasion of Iraq. He told Meet the Press that he supported the war based on the intelligence data fed him and now that no weapons of mass destruction found in Iraq there is no other basis for the war. He said while he still does not support the idea of setting an arbitrary date for withdrawal of US troops, he acknowledged that the administration and the Iraqis have now determined a timetable. The Obama campaign has been criticized by McCain for proposing a timetable for withdrawal terming it a strategy of defeat. Powell, like McCain his friend of 25 years, served in the Vietnam war and the retired general, of Jamaican ancestry, went on to become chairman of the Joint Chiefs of Staff of the US armed forces.